Back in 2004, when you launched Garland Partners, the market was focused on SD and ASI. Since then the pace of change has been immense. Is growth driven by market demand or technology? Client expectations are very different from 13 years ago when the majority of content was viewed on regular television sets inside the home. Then the market was very much focused on SD and ASI. In terms of growth since, the market has been driven by both market demand and technology. Granted, there was a small appetite for viewing some content on the Internet, with the BBC leading that drive in the UK in 2004. Now, customer expectation is huge. For example, it's no longer acceptable to view VOD content 'post-event' on your device. Consumers want the content to be live, especially news and sports, and also to be synchronised across their mobile and tablet devices. Thirteen years ago cameras and transport costs were more expensive. How much has that economic model changed and where are the financial pressure points now? The accessibility for technology is significantly better and easier than it was financially back then. If you take a pure cost-per-channel, to deploy an HD service now compared to 10 years ago, that cost is dramatically lower. It's difficult to give an exact figure but at the production level it's much less than half of what it was when HD was first deployed. That's certainly the case for cameras where a fully capable HD pro-camera, which has far more capability now than it did then, is now around a tenth of the cost. As you move through the workflow the ability to deliver content is also more cost-effective. I think we'll see the same cycle for 4K. Production is very expensive because it's a new technology in the early phases of deployment; over time these costs will decrease with scale just as they did with the move from analogue to digital and with the migration from SD to HD. With regards acquisition do you still always want to acquire the best and highest resolution as possible? That depends on the content genre. Premium content like film and sports is expected to be high quality to give viewers an immersive experience and warrant the subscription costs. But if you're talking about breaking news from a war zone for example, where the connectivity is challenging, then high quality video isn't as important as audio. In the general sense how much has the growth in wireless technologies changed your business over the last 13 years? It's had a huge impact in a number of areas. The fact that you can deliver over cellular or Wi-Fi networks at high-quality has driven the demand for video in all genres. Thirteen years ago our mobile networks had limited pockets of 3G. Now 4G has fully penetrated the market, and it's this type of advancement in cellular network technology that makes newsgathering and event coverage more accessible and less expensive to deploy. The move from 3G to 4G networks has been a game-changer in the deployment of cellular bonding technology. How much of your business is live and how much is packaged? Most of our solutions are for live delivery, though we have transcoder platforms that will create on-demand/file-based content. Of course the LiveU cellular bonded products will provide live content or store-and-forward as live, or you can deliver packages. We have broadcasters who do a lot of packaged delivery because it guarantees a higher quality content. But delivery has moved more toward live and our business model certainly reflects that in the customers we deal with. 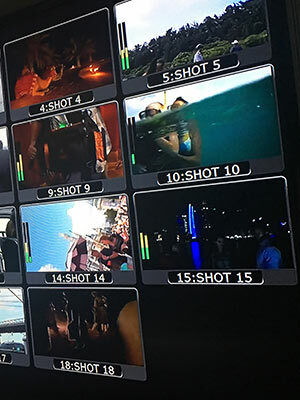 Let's talk about H.265: It's coming with LiveU and the LU600. Will this be big for the industry and for you? What's the impact likely to be? Yes. The H.265/HEVC compression standard is already being deployed in 4K and we see it becoming further established within the market. On our side, these broadcast contributions are all based around HEVC and there are two main reasons for this: either you get the same quality as H.264 but at a lower bandwidth (right now we're seeing bandwidth savings of 25 to 30 percent) or in keeping the same bandwidth level you deliver higher quality content, which is important if you're doing 4K. Both of these ideas are driving the bonded cellular market because when you're in an environment with poor connectivity, H.265 will give you a better quality picture than your current H.264 deployment. Conversely, when you're in an area with great connectivity you may want to cut data costs by capping your bandwidth lower on H.265, delivering the same quality as H.264. That double benefit will see H.265 adoption accelerate as chip set technology improves in size, cost and power consumption. Playout for H.265 is challenging because its processing power is quite high. There are only a few devices on the market (smartphones, tablets or PCs) that can efficiently play H.265. Initially there were the same issues with H.264, and all of this is part of the cyclical evolution of technology and standards. There may be challenges with H.265 because of licensing costs but history shows the market is still driven by standards and it's often the MPEG standards that win in the end.